Bait and switch time, people: before I get to the current crisis (bumped back to tomorrow), I want to look at another way that writers attempt to save themselves from the embarrassment of telling a story: postmodernism. 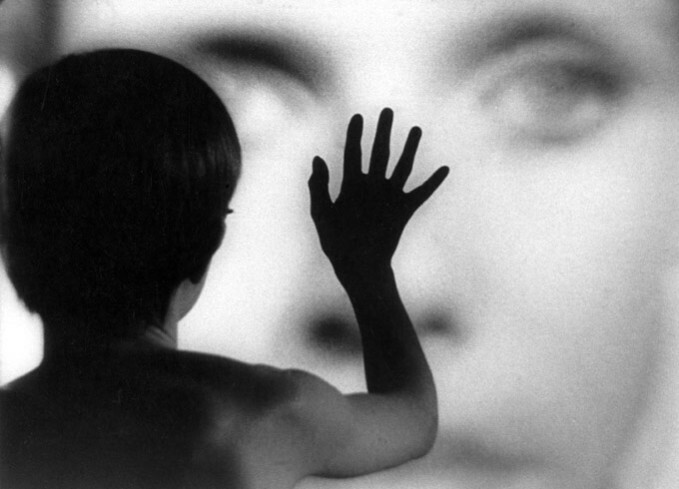 European cinema in the ‘60s was the first major flowering of self-aware techniques in movie-making. Both Jean-Luc Godard and Ingmar Bergman were influenced by the playwright Bertoldt Brecht, who explicitly wanted his audience to think instead of feeling, so he used distancing techniques to shut down emotional reactions, but these filmmakers turned that idea on its head: They used distancing techniques that somehow increased emotional involvement. In Berman’s Persona, right at an intense moment, the camera suddenly dollies back to reveal the stage lights and crew, then dollies back into the scene, which continues unabated! Amazingly, we get right back into the story. Basically, Bergman and Godard know that they were so damn good that they could get away with anything. They could remind the viewer that he was watching a made-up story onscreen, which should make the viewer stop caring, but instead it would actually add another dimension of dramatic tension. Since the viewer still cannot stop caring about these compelling characters, his cognitive dissonance merely becomes an additional level of conflict for each scene. A good postmodern story can seem like the most honest type of moviemaking. “Hey, guys, let’s deal with the fact that you’re sitting in a big dark room and you’re bringing your own expectations to the movie. That’s a pretty big part of the equation here, isn’t it?” I’ve frequently used this blog to praise early American stabs at post-modernism, like Tension and Unfaithfully Yours, which subtly prodded viewers to be aware of their own relationship to the movies. But postmodernism would later become the law of the land after Quentin Tarantino came along in the ‘90s. He used distancing techniques in clever ways, but I was never sure whether he was simply dazzling us or whether he actually had something to say. Unfortunately, there could be no such doubt about the flood of imitators who followed him, aping his techniques in the crudest possible ways. The problem was that these moviemakers weren’t going for the intellectual effect of Brecht or the cognitive dissonance of the Europeans from the ‘60s. The new guys were winking to the audience for a different reason: because they were too embarrassed to ask the audience to care. Glad you highlight FAMILY GUY as one of the nadirs of current postmodern pop culture. It's as if they learned all the wrong lessons. Whereas a show like THE SIMPSONS still tells stories about characters, FAMILY GUY more or less strings pop culture references together endlessly going for the lowest kind of laugh, a "ha-ha I recognize and remember _______"(insert STAR WARS character or scene name here). An even worse offender is ROBOT CHICKEN. And consider considering the words "sentiment" and "sentimental" sometime. No one seems to put much thought into what they should mean and when they should be used, though they get slung like rocks in workshops.